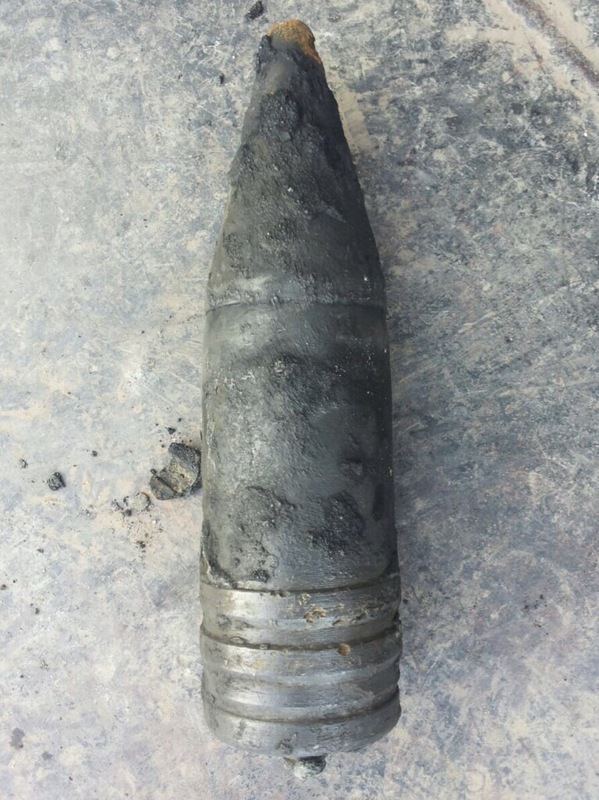 Diver intervention completed the disposal of several ground mines, buoyant mines and a bomb. Great effort by vessel, projectteam and staff, bubble curtain vessel and the EOD divers who performed brilliantly at depths between 28 and 33 meters. 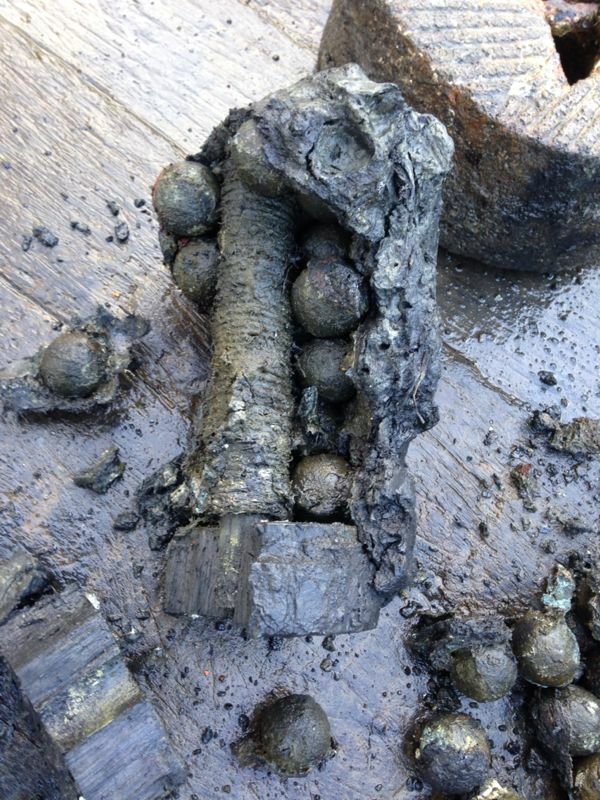 An Inshore underwater UXO Clearance project finished @ Den Helder, the Netherlands. 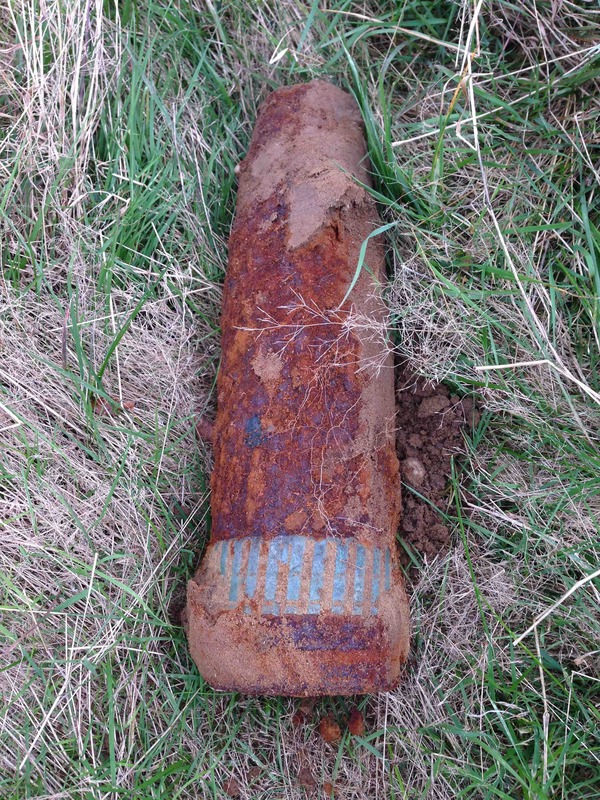 An interesting found was safely recovered and stored. Enclosed some pictures and the “Dulo” from the former HNLMS De Ruyter who might had it in her amo stores. 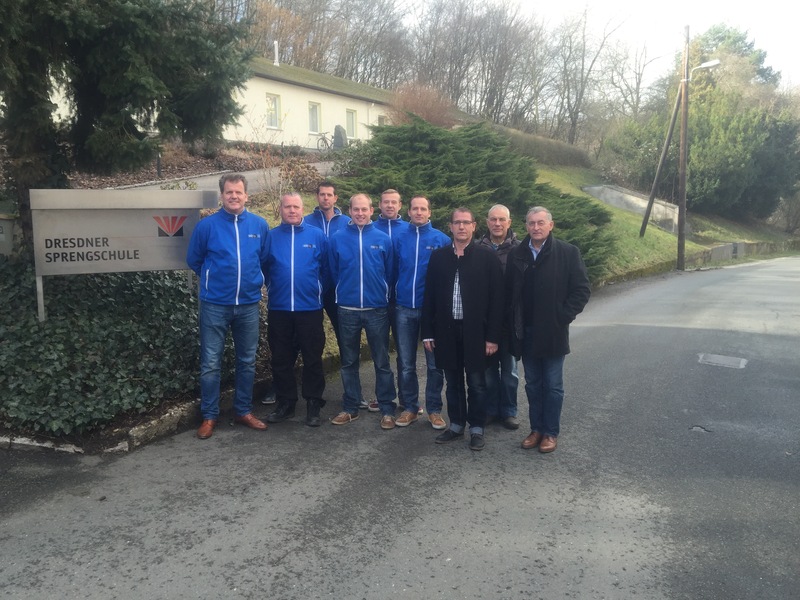 UXO Offshore Services is proud to announce the start-up of our German Company. 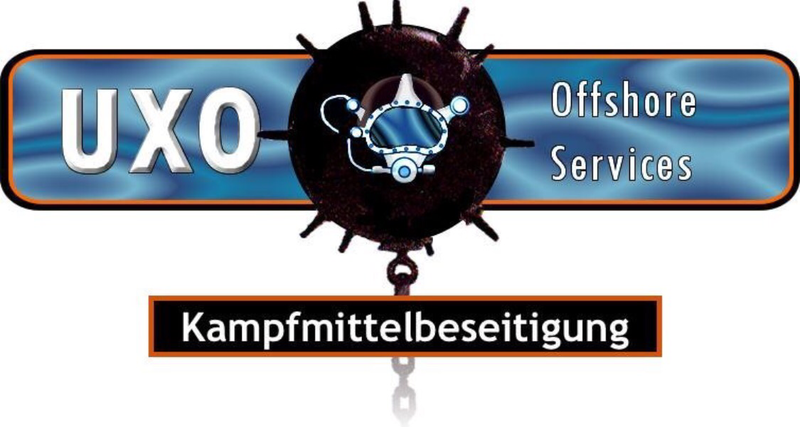 Since the 27th of April 2016 UXO Offshore Services Kampfmittelbeseitigung GmbH (UXOOS KMB GmbH) is registered in Hannover under number HBR 213792. 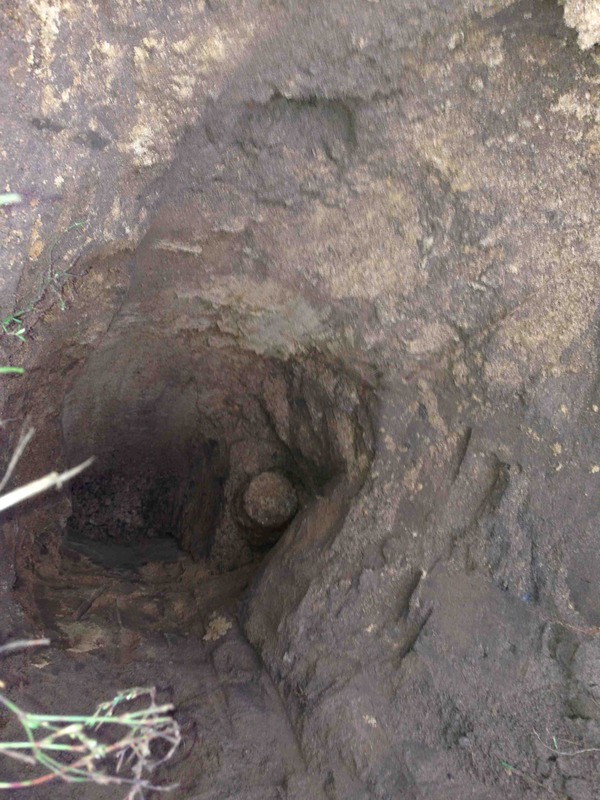 UXOOS KMB has a §7 license according to German SprenG and is not only qualified to execute the search on possible UXO’s but is also licensed to execute TRANSPORT and DISPOSAL of found UXO’s. 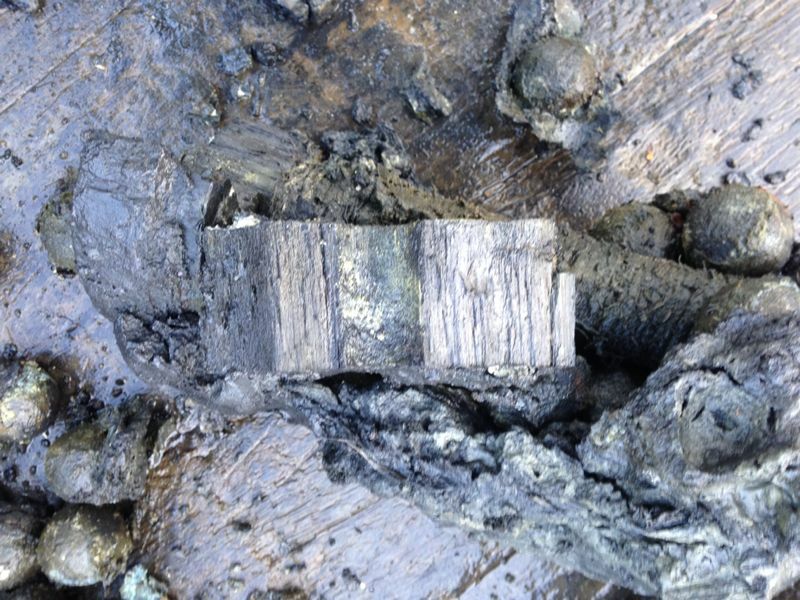 This is a major difference for clients who can now use a one-stop-shop for its (offshore) UXO challenges in Germany. All UXOOS KMB personnel is qualified according to §20 SprengG. 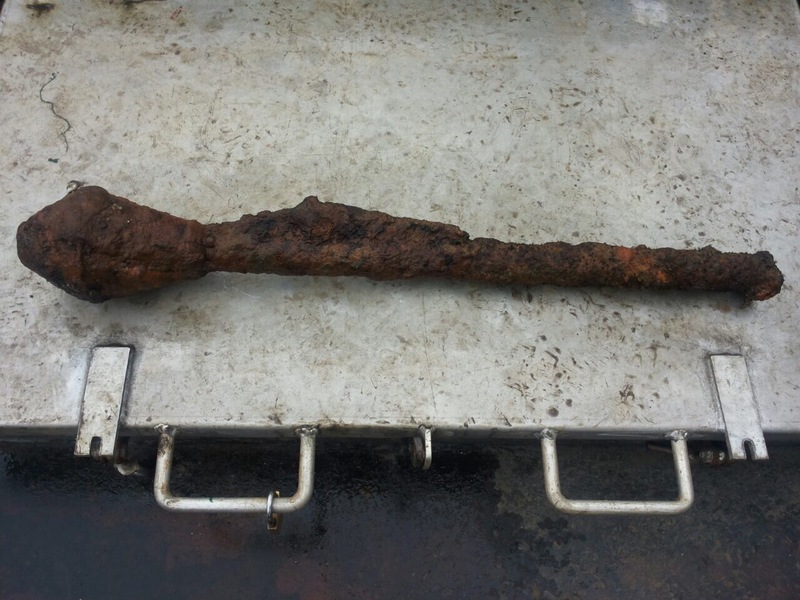 During Inshore Underwater Clearance Work a German Pantzerfaust and a German 7,5 cm Grenade were safely identified and removed. 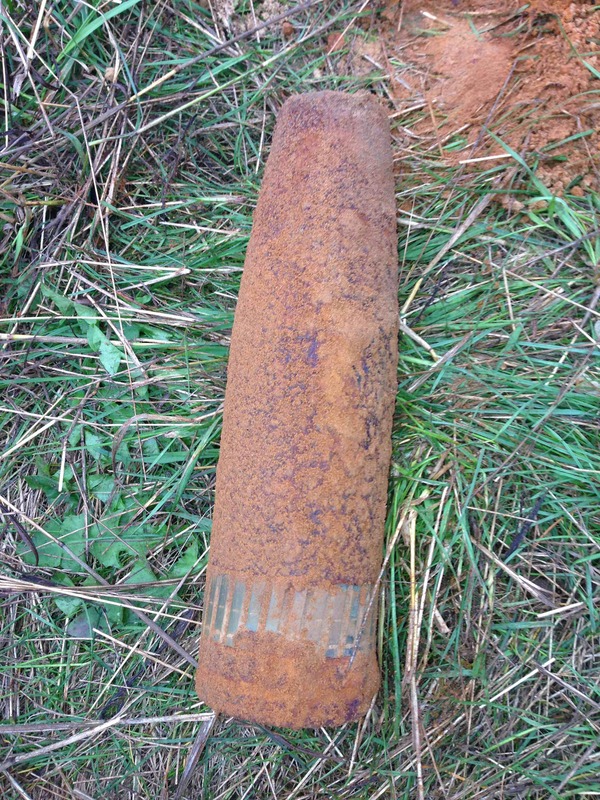 Enclosed two pictures of the ordnance. 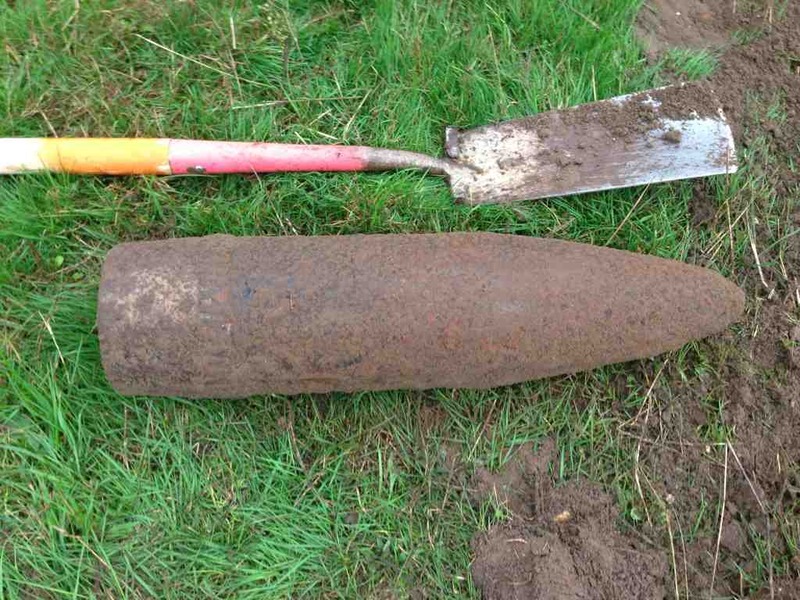 During inshore Underwater UXO Clearance work a possible Case Shot was found. 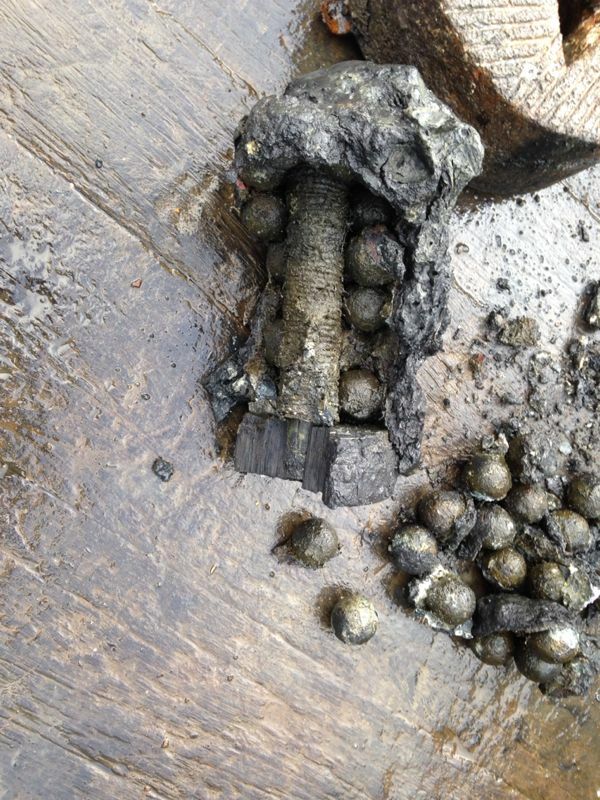 Case shots were used as anti personnel weapon around the 18th century. Attached are some picture from the Case Shot. 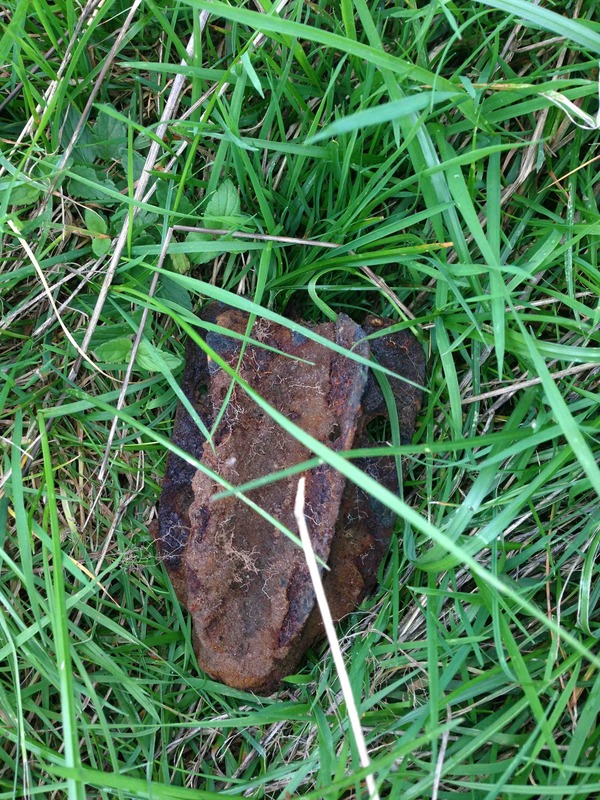 During UXO land based support work some interesting projectiles were identified and safely removed. 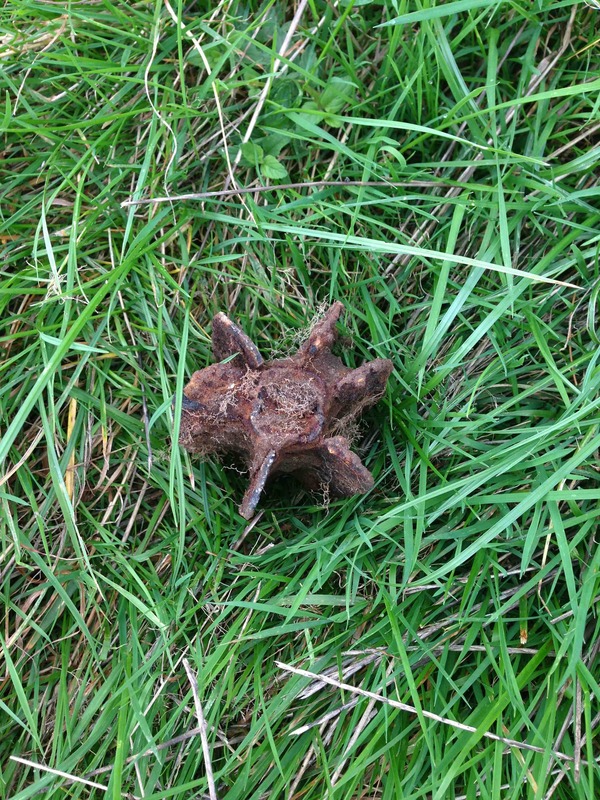 They were the last items in an area in the Eastern part of the Netherlands where Operation Market Garden was executed. 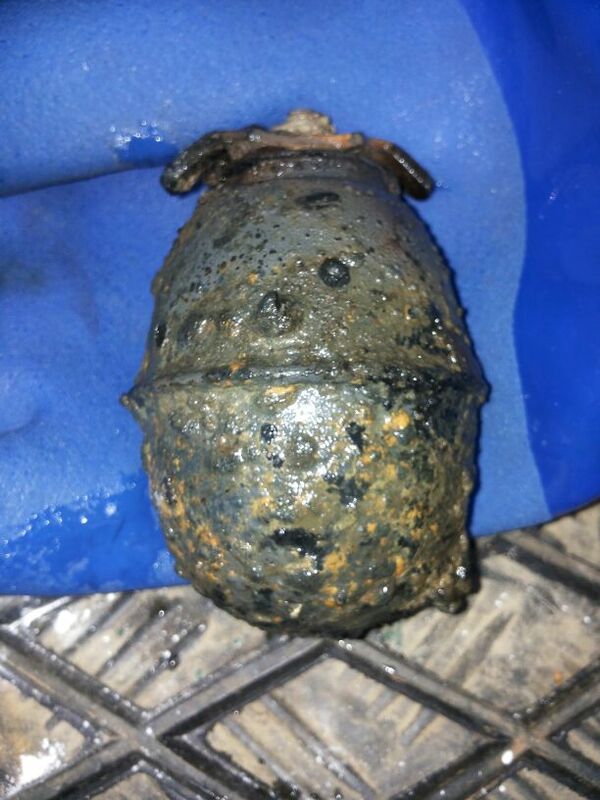 During Underwater UXO Clearance work a German “Egg” Handgrenade was identified and safely recovered by UXO Divers.